How to extract: Download the ZIP package and extract to a folder of your choice. 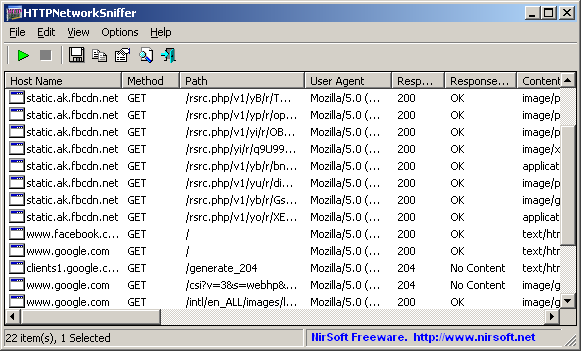 Launch HTTPNetworkSniffer.exe. pretty cool program. useful for adding domains to a hosts file or IP addresses to a PeerBlock type of app. works on raw sockets for me on winXP SP3 so no need to install anything. Under Windows 7 (and probably Vista), you may need to run this program as Administrator for it to work. 'SmartSniff' (also from Nirsoft) already has a manifest that will ask for Elevated Privileges.. not sure why this one was missed?